WINNERS ANNOUNCED FOR: The Tudor Conspiracy and The Secret History!! KATHERINE of Historical Fiction Notebook!! STEPHANIE THORNTON- Guest Post + Amazing GIVEAWAYS!!! What an exquisite cover- for an exquisite book! Have you read THE SECRET HISTORY?? You must! 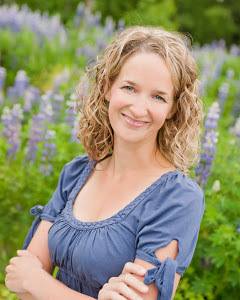 Today, I am pleased to share with you this amazing Interview with Author Stephanie Thornton! 1- Stephanie you wrote an amazing novel based in Byzantium! Can you tell us about a few of the most fascinating things you discovered about this time and place, while researching? 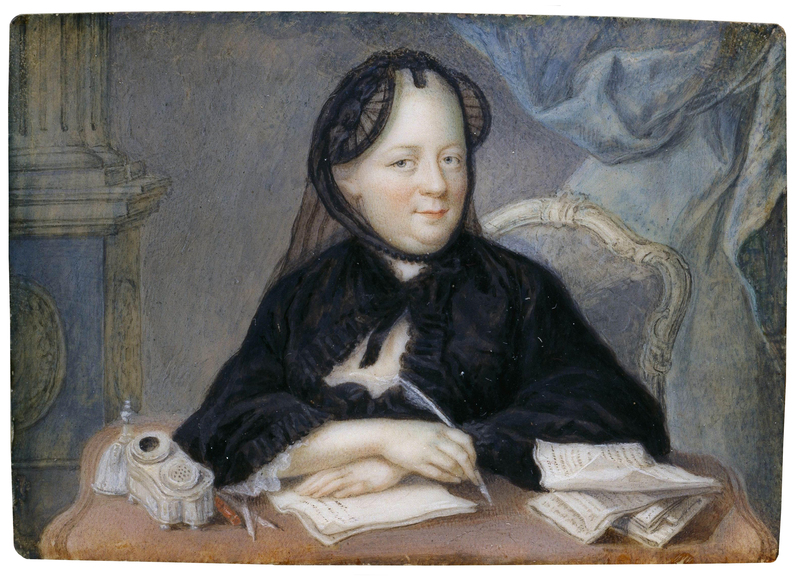 I’m so glad that you enjoyed the novel, and am thrilled to be here discussing it today! 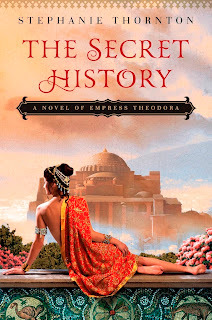 When I first set out to write Theodora’s story, I assumed 6th century Constantinople was like much of the ancient world, where women were dominated by men and mostly forgotten by history. Although I’m sure Procopius is rolling in his grave to hear it, when I first read his damning history of Theodora’s rule as empress I was almost squealing with glee. Not only was Theodora an incredibly strong woman who ruled equally with her husband, but her lifelong friend Antonina had also risen from the gutters to marry Belisarius, the empire’s rising star of a general. Procopius slanders both women terribly, but between the lines you can see that these women were determined not to let anyone—man or woman—dictate how they lived. (Unfortunately for Belisarius, that meant his wife would go on to publicly cuckold him with her godson.) In a strange twist, Procopius’ vitriolic accounts ensured that we would forever remember both Theodora and Antonina, whose colorful lives would have otherwise gone mostly unrecorded. 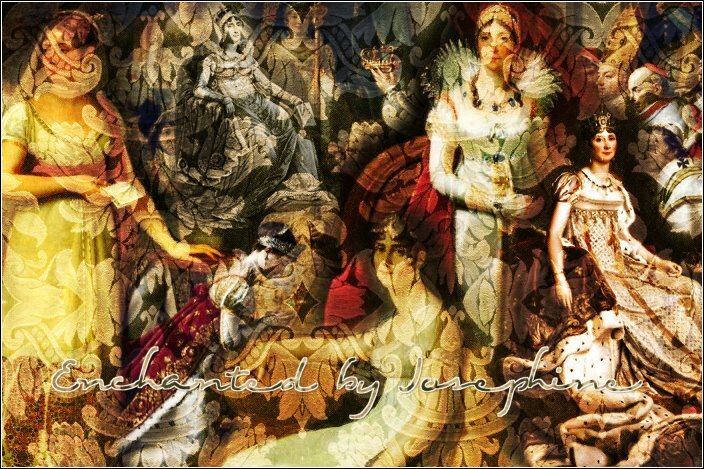 That said, we also have to remember that Theodora and Antonina’s stories were uncommon for the time. I spent much of my time researching the lives of prostitutes in the Byzantine Empire, and the hardships they had to endure. There’s a line in my novel about how unwanted children could be disposed of in the drains of the public baths, which came from an archaeological article I read where a number of infant skeletons had been discovered in one such drain. Life in the ancient world was hard, and for a single woman, it was almost impossible. 2- Theodora has become my new favourite icon- What attracted you most to writing about her? Let me just say that I love Theodora. I see her as one of those polarizing kind of personalities—either you loved her (as Justinian did) or you loathed her (like Procopius). Looking back at her position in history, it’s hard not to love her. This woman was the daughter of a bear trainer (really, truly) who became an actress/prostitute to support herself and her family. Her story might have ended then and there, but something about her attracted not just one, but two of the empire’s most powerful men. Not only that, but she survived one of the world’s worst outbreaks of bubonic plague! (For the record, I love bubonic plague. Writing about it, not having it, of course.) Procopius also recorded that while Theodora couldn’t dance or play music, she was a great mime, which was a sort of stand-up comic of the day. I don’t know any writer who could resist writing so colorful a character. 3- If you could compare Theodora to a woman of today's times, who would that be and why? That’s a toss-up between Eleanor Roosevelt and Margaret Thatcher. However, since Eleanor was born to privilege and Margaret’s dad owned grocery stores, I’ll go with Thatcher. (Fortunately, Margaret Thatcher never had to face an outbreak of bubonic plague.) Both Theodora and Margaret Thatcher fell into politics (Theodora because she caught Justinian’s eye and had traveled across the empire, which he had not; Thatcher was drawn into politics while studying chemistry at Oxford), and became polarizing figures while they were in power. Thatcher alienated workers and unions with her economic policies and Theodora was a staunch supporter of the Blues (a political faction of Constantinople), which angered the Greens. Finally, both faced uprisings and revolts; for Theodora, the famous Nika revolt left 30,000 dead and city in ruins. Thatcher faced discontent in her Conservative party that resulted in her own electoral defeat. Both were tough, determined women who did what they thought was right. 4- We would love to know about any future projects you may have- will there perhaps be a sequel to The Secret History? I contemplated writing a sequel focusing on Justinian’s heir, Justin II, and his wife and Theodora’s niece, Sophia, but their story is painfully depressing. 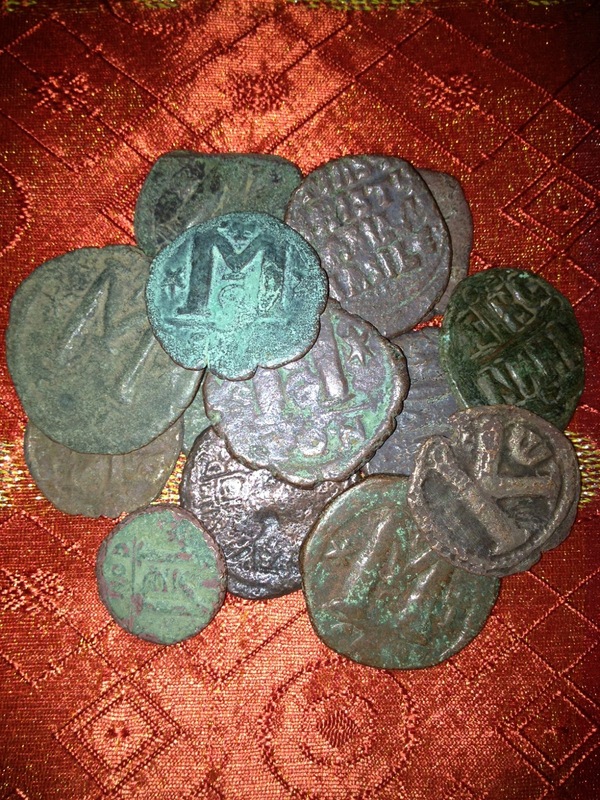 Justin II started a war with Persia and lost much of the landholdings in Italy that Justinian conquered. Then he went insane, biting his attendants from his chair and insisting that constant organ music be played in the palace at all times, finally necessitating his abdication from the throne. I like drama in my books, but that’s a lot of tragedy! Instead, my next novel, Daughter of the Gods, is the story of Hatshepsut, Egypt’s first successful female pharaoh, and I’m currently writing The Tiger Queens, a novel of Genghis’ Khans wife and daughters. After that, I’ll be heading back to Rome, although Book #4 will be set in the ancient western Empire instead of Byzantium. 5- Lastly- this one is for all aspiring authors: Please share a motto, ritual, or habit of yours, that helps you with your writing. Okay, I’m totally going to steal a quote from Winston Churchill here: “Never, never, never give up.” I know it’s simplistic, but no matter which authors you talk to, there have been times when they wanted to quit. I was told to shelve the first novel I wrote because no one would ever publish a book about some obscure Egyptian female pharaoh. Instead, I set it aside, wrote The Secret History, and now Daughter of the Gods will be coming out next summer. So, have patience, and never, ever give up on your dreams! Thanks so much for your time- and for writing this terrific book that I can't stop raving about! 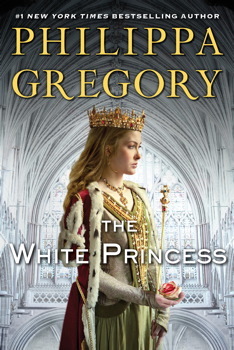 I never quite got around to reading The White Queen, by Gregory, that’s sitting comfy in my TBR pile. Maybe that’s’ because I’ve already read a lot about Edward IV’s magnificent queen… However, I knew very little about her firstborn daughter, Princess Elizabeth of York. So I immediately was captivated by this story. The first part of the book was entertaining enough; I was curious to find out how this young and reluctant queen married to the killer of King Richard lll (her presumed lover) would fare within a court where the York name was almost a blasphemy. Cold and aloof, Elizabeth began by despising her ruthless and insensitive husband King Henry Vll. It also didn't help that she was surmised by the mother-in-law from hell ( Margaret de Beaufort), who co-ruled with her son. Once the lady-in-waiting of Elizabeth Woodville(! ), pious Margaret now felt it her right to belittle, mistreat and dismiss the former regents. There were no limits in how far she’d go to assure Henry’s throne and rid the court of all Yorks once and for all. As time went by, through absolute loyalty to her kingdom and for the fate of her children, Elizabeth would eventually learn how to enjoy her husband’s company and even begin to care for him. But a (huge) factor would be a constant OCD for Henry…could one of the boys in the tower still be alive? Throughout the novel this is the thorn in Henry’s life. Henry could never rest- always paranoid about the ‘pretender’, ‘the boy’, seeking the right to his throne. Needless to say, this became the obsession within this book. And, frankly, there was just way too much of this (the whole middle part of the book!). As for Elizabeth, I honestly don’t know how she could have realistically kept her cool to preserve an incredible detachment – especially when it came to her supposed younger brother...All in the name of her heirs and the right to their throne. I would have liked to see more passion in this bland queen. Fortunately, there was one bright beam that kept me reading on- I loved that Elizabeth Woodville was a pivotal character in THE WHITE PRINCESS! It was her strength, love of family and incredible non-stop determination that kept the plot alive. This underlying sense that she was plotting all along, brought interest and engaged me enough to see this novel through. As well, the rest of the York siblings and cousins brought much compassion, dread, helplessness and a true feel for what times may have been like for them under Henry Vll’s rule. In the end, THE WHITE PRINCESS proved to be a passable read. 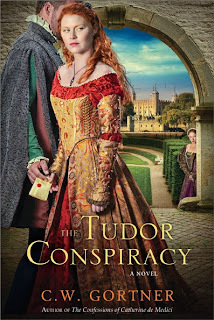 Gortner’s second historical mystery of The Spymaster Chronicles, The Tudor Conspiracy, was a target-hit with me. The plot moved along at a quick pace, leaving no time to even momentarily set this one aside-definitely a breeze to read. Not only does it contain the right amount of suspense, historical intrigue and creativity of plot- the characters come to life making every fictional detail a definite historical possibility. I caught myself numerous times going back to research a character or event and wishing it were true. Admittedly, even though this is fiction…I still think our main actor, Brendan, spy master- extraordinaire, could possibly be the…but- I won’t spoil it for you! After thinking I’ve had enough of anything Tudor (and the only reason I gave this one a shot is because I love Gortner’s books so much…)- I’m so glad I decided to read this! First of all, this novel is centered in Mary’s Court with Elizabeth playing pivotal character. It made it that more interesting to read a novel that revolved solely around the two sisters (no Henry and no wives!). I loved reading about a younger Elizabeth, who already demonstrated a strong will and exceptional brilliance in all subterfuge matters of royal court life. Mary was all-regal; accurately depicted as both vengeful and forgiving. As for our hero…who shall he serve- Mary or Elizabeth? And for those who need a little love and compassion in their historicals- there is just the right amount of both to help bring this story around. Kate Strattford is Brendan’s love of his life- but can he remain true to her at all costs? And there can be no deeper heartfelt moment than when you read about Brendan’s young squire, Peregrine…Lastly, the book concludes with the completely unexpected unmasking of an antagonist- wow! Deception, trust and loyalty are key in The Tudor Conspiracy. I was not very well read on The Wyatt Revolt, and am pleased to have gotten more than just a historical lesson- I was plunged right into the plot. Also, I haven’t read the first of this series, but I can tell you that it seemed to make no matter, as it is perfectly enthralling as a standalone. Short-spanned but intense in every hue- Gortner has covered it all. This book will leave you totally satisfied but with a lingering need to read more. I am eagerly awaiting the third book in this series- meanwhile I gotta get my hands on the first, The Tudor Secret! C.W. 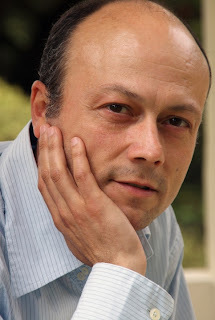 Gortner is the author of The Last Queen, The Confessions of Catherine de Medici, The Queen’s Vow and The Tudor Secret. He holds an MFA in Writing, with an emphasis in Renaissance Studies. Raised in Spain and half Spanish by birth, he currently lives in the San Francisco Bay Area. He welcomes readers and is always available for reader group chats. Please visit him at www.cwgortner.com for more information. If you’d like to read more about Gortner’s book, guestposts and Giveaways, please check out the Historical Fiction Virtual Book Tours site.